ENG: Hello, friends! Season of coats is slowly coming to the end, so I’ll try to show you all my outfits with this outwear. Today I’m showing the biggest hit of winder season – oversize pink coat. I score it with cat blouse, ripped jeans and white accessories. I was trying to do kind of reality show for myself: not to buy anything from clothing during a month. But this white clutch was the reason I failed it. But that’s all! I promise. Thanks for reading and support! RU: Всем привет! Сезон пальто медленно подходит к концу, а у меня в запасе еще достаточное количество фотографий, которые хотелось бы показать. Начнем с безусловного хита предыдущего сезона – объёмного пальто розового цвета. Компанию ему составила блузка с котами, рванные джинсы - скини и белые аксессуары. У меня было мое личное реалити шоу: месяц без покупок. Но этот белый клатч сорвал все планы. Хотя, на этом все, кредитка целая! Всех с наступающим праздником весны! Всех целую! Спасибо, что читаете! Виктория, какой чудесный образ!!! А какое красивое пальто... ммм.. 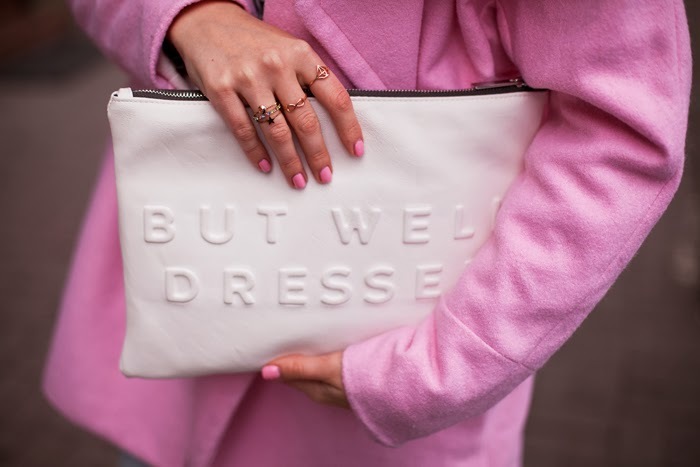 I like your coat and clutch very much! Great outfit! Love the coat on you..really pretty colour. Пальто с джинсами отлично смотрятся друг с другом! Your pink coat looks so beautiful, love the styling. Have an awesome weekend babe! Love that coat and it's colour! Какое отличное пальто! Влюбилась с первого взгляда! С праздником весны тебя! Желаю процветания блога , солнечных и счастливых дней! Целую! lovely, i adore your coat and that shoes. Great outfit! 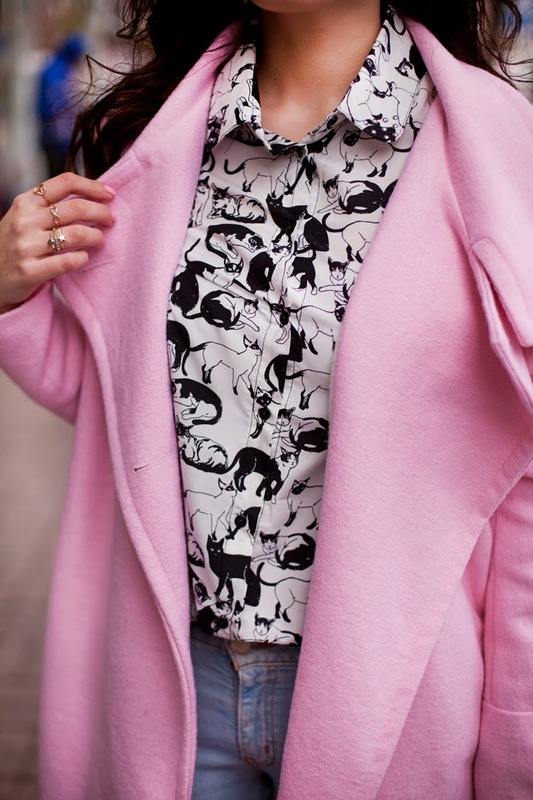 The pink coat makes it so fresh! And I love the clutch! such a peaceful color combo! love it. wow, her look is really great and i really like it so much. Life today enjoyable and a lot more convenient for the mail client, instant messaging and chat. I've used it and feel very satisfied. this is what im searching for, thankyou so much! I really liked this part of the article, with a nice and interesting topics. Your post such as nice information, Thanks a lot for sharing it. Yeah a beautiful post indeed. Most women really love pink and it seems to be normal, it is just I don't know why.